Now updated with new material that brings the killer's picture into clearer focus. In the fall of 1888, all of London was held in the grip of unspeakable terror. An elusive madman calling himself Jack the Ripper was brutally butchering women in the slums of London's East End. Police seemed powerless to stop the killer, who delighted in taunting them and whose crimes were clearly escalating in violence from victim to victim. And then the Ripper's violent spree seemingly ended as abruptly as it had begun. He had struck out of nowhere and then vanished from the scene. Decades passed, then fifty years, then a hundred, and the Ripper's bloody sexual crimes became anemic and impotent fodder for puzzles, mystery weekends, crime conventions, and so-called Ripper Walks that end with pints of ale in the pubs of Whitechapel. 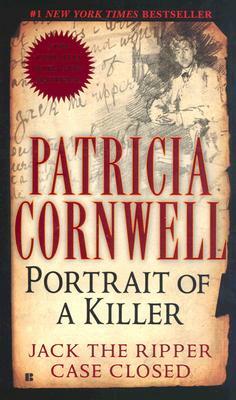 But to number-one "New York Times" bestselling novelist Patricia Cornwell, the Ripper murders are not cute little mysteries to be transformed into parlor games or movies but rather a series of terrible crimes that no one should get away with, even after death. Now Cornwell applies her trademark skills for meticulous research and scientific expertise to dig deeper into the Ripper case than any detective before her and reveal the true identity of this fabled Victorian killer. In" Portrait of a Killer: Jack the Ripper, Case Closed," Cornwell combines the rigorous discipline of twenty-first century police investigation with forensic techniques undreamed of during the late Victorian era to solve one of the most infamous and difficult serial murder cases in history. Drawing on unparalleled access to original Ripper evidence, documents, and records, as well as archival, academic, and law-enforcement resources, FBI profilers, and top forensic scientists, Cornwell reveals that Jack the Ripper was none other than a respected painter of his day, an artist now collected by some of the world's finest museums: Walter Richard Sickert. It has been said of Cornwell that no one depicts the human capability for evil better than she. Adding layer after layer of circumstantial evidence to the physical evidence discovered by modern forensic science and expert minds, Cornwell shows that Sickert, who died peacefully in his bed in 1942, at the age of 81, was not only one of Great Britain's greatest painters but also a serial killer, a damaged diabolical man driven by megalomania and hate. She exposes Sickert as the author of the infamous Ripper letters that were written to the Metropolitan Police and the press. Her detailed analysis of his paintings shows that his art continually depicted his horrific mutilation of his victims, and her examination of this man's birth defects, the consequent genital surgical interventions, and their effects on his upbringing present a casebook example of how a psychopathic killer is created.